Trinidad-born U.K. author V.S. Naipaul, who won the Nobel Prize for literature in 2001, has died at his home in London. He was 85. 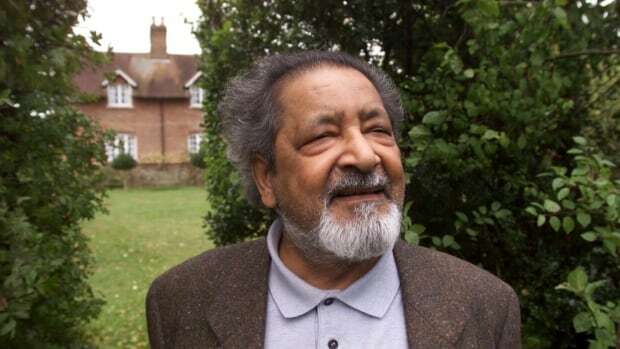 Vidiadhar Surajprasad Naipaul, who began writing in the 1950s, won numerous coveted literary awards throughout his career, during which he wrote critically acclaimed novels such as A House for Mr Biswas, In a Free State and A Bend in the River. In a statement, his wife, Nadira Naipaul, called him a "giant in all that he achieved" and said he had died surrounded by "those he loved having lived a life which was full of wonderful creativity and endeavour." Born in Trinidad in 1932 into an Indian family, Naipaul was raised in relative poverty. He moved to England at 18 after receiving a scholarship to University College, Oxford. He wrote his first novel while at Oxford, but it was not published. He left university in 1954 and found a job as a cataloguer in London's National Portrait Gallery. His first published novel, The Mystic Masseur in 1955, was poorly received at first but the following year won the first of his literary awards, the John Llewellyn Rhys Memorial Prize for young authors. He received a knighthood from Queen Elizabeth in 1989. "When I learnt to write I became my own master; I became very strong, and that strength is with me to this very day," he told Reuters in 2010. GetUpRadio Media News Copyright © 2019.